Foundation Hormone Balance provides macro- and micronutrients that support all phases of biotransformation and detoxification; these nutrients also support the mitochondrial energy production necessary to complete this vital function. Foundation Hormone Balance is easy to digest and has a low-allergy potential, a pleasant taste, and no added fructose and is also suitable for vegans. Foundation Hormone Balance features a proprietary pea/rice protein blend; Aminogen, to facilitate protein absorption; activated B vitamins, such as riboflavin 5-phosphate (B2), pyridoxal 5-phosphate (B6), 5-methyltetrahydrofolate (folate), and methylcobalamin (B12); and Albion’s patented TRAACS mineral amino acid chelates. 5-methyltetrahydrofolate (5-MTHF) is provided as Quatrefolic¯, a stable, bioavailable form of folate. In conjunction with a modified elimination diet, Foundation Hormone Balance not only addresses healthy detoxification, but also supports energy generation. Selenium Glycinate provides support for glutathione metabolism and antioxidant protection. Inulin is a prebiotic and a source of dietary fiber, as well as glutamine. Inulin is from non-GMO chicory root and is utilized as a low-glycemic-index carbohydrate that supports glucose management and gastrointestinal health. As a prebiotic, inulin promotes the growth of beneficial intestinal bacteria. Foundation Hormone Balance is a medicinal food that promotes overall intestinal health and supports the body in detoxification, energy generation and hormone balance. 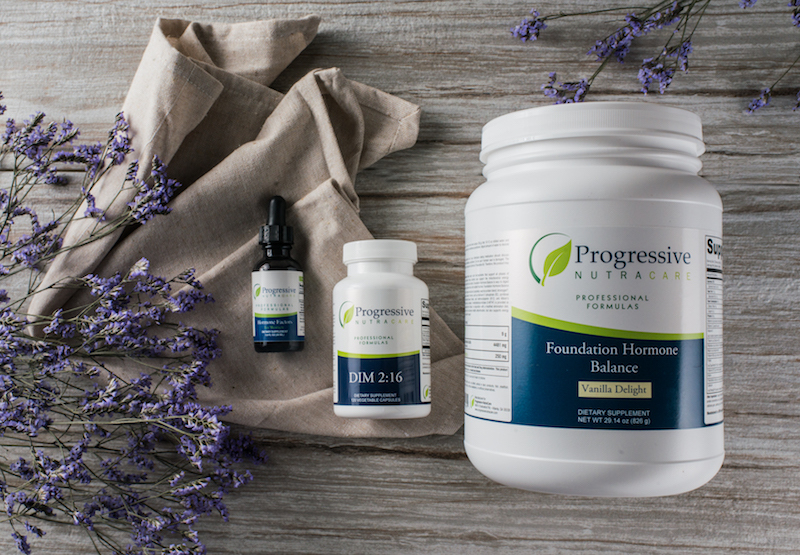 Foundation Hormone Balance is for someone looking to balance hormones, repair the intestinal wall, reduce inflammation, increase immune function, increase neurotransmitters and support their weight loss goals. Foundation Hormone Balance is intended to consume 1 to 2x daily or as directed by your healthcare practitioners. Blend, shake or briskly stir 2 level scoops (59 g) into 10-12 oz of chilled water. Can also be used as a smoothie mixed with coconut, almond or other milk substitutions, fruits and vegetables blended as desired. Adjust the amount of liquid to your personal level of sweetness and thickness. Best results will be obtained when combining with a modified elimination diet.